ExxonMobil Aisa Pacific Pte Ltd.
Diamond Bulk Carriers Pte. Ltd.
Sukumar heads IBC Asia, and has been with the company for close to 10 years. Prior to helming the company, Sukumar was General Manager for the Maritime and Commodities Division at IBC Asia, and has been the Project Director for various Maritime and Port Authority events, including SIBCON, since 2009. In his current role Sukumar is responsible for all aspects of the business, and pays particular attention towards developing strategic alliances and new business generation. IBC Asia is the Asian trading arm of the Informa Group, a leading business intelligence, academic publishing, knowledge and events business, operating in the Knowledge and Information Economy. Informa is listed on the London Stock Exchange and a member of the FTSE 100. Mr Kenneth Chia joined Singapore Maritime Foundation (SMF) on 1st March 2017 as Executive Director Designate. His appointment as Executive Director took effect on 1st February 2018. The Foundation was established to serve as the link between the public and private sectors in the maritime industry. SMF works in partnership with the maritime players to drive initiatives, attract and nurture talent and raise public awareness of the Singapore maritime sector. These efforts are in line with the vision to make Singapore a leading international maritime centre. Kenneth has 27 years of work experience with Neptune Orient Lines (NOL/APL). He started as a Management Trainee in 1989 upon graduating from Washington State University USA with a Degree in Business Administration. He held various key roles and senior management appointments during his career with the company which covers Trades, Commercial and as a Managing Director for APL Singapore, Malaysia & Myanmar. Following the merger with APL in 1998, he was stationed in Rotterdam for two years as Director of Global Sales, servicing key global customers in the Europe region. Prior to joining SMF, Kenneth was the Head of Global Key Account Management for APL (part of CMA-CGM group). From 2011-2013, Kenneth had served on The Singapore Shipping Association (SSA) Council as Honorary Treasurer. Currently, he is Board Director of the Singapore Chamber of Maritime Arbitration (SCMA). Michael Phoon has helmed the Singapore Shipping Association (SSA) role as Executive Director, championing Singapore’s maritime interests by engaging key stakeholders through special interest working groups and sub-committees to harmonise between the Shipping community and Government regulators and agencies. Additionally as Secretary-General for the Federation of ASEAN Shipowners Association, he is the representative voice championing the cause of the ASEAN bloc of shipping associations. He is also the Deputy Chairman for the National Maritime Safety at Sea Council, and sits on the Maritime Institute Advisory Council. Michael has over 25 years of experience in the IT industry spanning across US, Europe and Asia, prior to joining the Shipping industry. He is currently an appointed Fellow at the Singapore University of Social Sciences and is a Certified Master Coach. Steven PHUA is currently Deputy Director, Standards in SPRING Singapore responsible for standardisation in the biomedical, chemical, manufacturing and construction sectors. He also oversees the sales of Singapore Standards and the Standards Development Organisations (SDO) programme which a public-private collaboration to develop and promote standards for industry. He was previously managing the national business excellence programme which aims to help organisations adopt the business excellence framework, an internationally benchmarked tool for strategic improvement. In this role he had assessed the management systems of more than 30 organisations from both the public and private sectors. Steven is a graduate of the National University of Singapore in the field of Mechanical Engineering and holds a Masters in Business Administration specialising in Strategy from Nanyang Technological University. He is also an American Society for Quality (ASQ) Certified Manager of Quality/Organizational Excellence. Member, Technical Committee Bunkering Singapore. Maite joined BIMCO in 2016 and her main role is to provide information and advice to members on a variety of key issues from piracy to bunker quality and navigational safety. Maite is also responsible for establishing and maintaining relationships with all relevant maritime governmental and inter-governmental authorities in the region and to create awareness of all of BIMCO’s activities and benefits for potential members. She has more than 17 years of international maritime experience from Southeast Asia, Europe, North and Latin America. She holds an Executive Master of International Business Administration in Shipping and Logistics from Copenhagen Business School. Tim Wilkins manages INTERTANKO’s Asia representative office in Singapore. He is responsible for the Association’s major issues in the region, as well as specific key issues worldwide. Tim joined INTERTANKO in early 1999 in London, where he gained considerable technical and political experience representing the tanker industry at the IMO and within the EU in Brussels. He has been managing INTERTANKO’s Asia office in Singapore since 2006. Wong Suan is Regional Technical Advisor, ExxonMobil Asia Pacific Pte. Ltd. In his current capacity, Wong Suan is responsible for providing technical advice on Marine Fuels application. Wong Suan holds a bachelor’s degree in Engineering and an MBA from the National University of Singapore. Prior to taking up his current role, Wong Suan was the Regional Sales Manager, Marine Fuels for ExxonMobil Asia Pacific Pte. Ltd.
Frederic VAZZOLER is currently the Global Sales & Development Director (from 2009) with Total Marine Fuels Pte Ltd, and VP for the French Maritime Cluster for Singapore (volunteer). With a Masters in Management & Economics (I.A.E Poitiers University, France. ), Frederic has 23 years’ experience within Energy and international Businesses. This includes 14 years’ experience in Liquid Petroleum Gas trade, transport and storage management, Supply, Shipping and Risk-Management and 9 years’ experience in Shipping and Bunker Industry. (Trading and Customer relationship). Previously he has had various roles with Totalgaz and Total Trading. competitive landscape and the challenges facing the industry. As such he continues to engage his team to integrate new learnings and technology into the business particularly in the areas of IT system technology, advance vessel designs and environmental conservation. Mr Lim sits on the Board of International Bunker Association (IBIA) and is also Director of IBIA (Asia) Ltd. He is a member of Asia & Australia Committee of Classification Society of Bureau Veritas and Singapore Committee of Nippon Kaiji Kyokai. Chee Choon joined World Fuel Services in 1999. As the Vice President of Asia Supply, Chee Choon oversees all supply activities in Asia, which include fuel procurement for bunkering and cargo, supply operations, price risk management, supply development in new markets, and tailoring of pricing solutions to meet shipping companies’ varied bunkering needs. Currently, World Fuel Services have a market share of over 10% in Asia. Timothy spent 6 years working as a Manager at PricewaterhouseCoopers first in London and then in Madrid, in the Valuation & Strategy department, focusing on M&A transactions. He then got his MBA from INSEAD and later on joined the A.P. Moller Maersk Group in The Netherlands as a General Manager for the New Terminals Division. In 2011 Timothy joined his family business, Fratelli Cosulich, where he sits on the Group Board of Directors and is in charge of the Marine Fuel Business unit globally, representing 60% of the Group’s turnover. He has also served as a Workgroup member on Mass Flow Metering under the auspices of the Technical Committee for Bunkering – managed by the Standards Development Organisation, Singapore Chemical Industry Council and is currently Chairman of its National Mirror Committee for ISO22192 – Bunkering of marine fuel using the Coriolis mass flow meter (MFM) system. Ronnie joined Brightoil as their Global Bunker Director since 02 Jan 2018. And prior to joining Brightoil, he was with Maersk Oil Trading for the past 11 years working as a Fuel Trader looking after the East of Suez Trading Desk based in Singapore. Clara Ng is Head of Group Procurement at China Navigation Company Pte Ltd (CNCo) based in Singapore, the Marine division of Swire Group. CNCo currently operates over 100 vessels and manages both container liner and handy size dry bulk vessels. She has been working in Procurement for 20 years in Aviation and Marine sectors and has led cross functional teams in procurement projects throughout Singapore and Hong Kong under Swire family. She joined CNCo in 2014 to lead Group Procurement Strategy and Bunker Procurement Transformation Program. She holds a Master degree in Transport Policy and Planning and is a fellow of The Chartered Institute of Procurement and Supply. Jens attended business school from 1989 – 1990 starting as a trainee for Fisker&Bom, Koege shipbrokers in Denmark from 1990 until 1992. Here he worked with forwarding agencies, operation and chartering. In 1992 he moved to Avedoere Shipping A/S working again in operations, chartering and agency for 4 years. Following this he started working for MARAG A/S (Maritime Agency Bunkers A/S) part of the O.W. Group, until 2003. For the next 4 years Jens became a Bunker Manager for The ARMADAGROUP in Switzerland for in 2007 moving on to this current position as the Director of the Bunker department at Oldendorff Carriers GmbH & Co. KG. – where he handled more than 3,5 million tons in 2017 from the buyers side..
Jens was IBIA Board member from 2010 , and in 2014 become Chairman of IBIA until 2016 where he stepped down..
Jens has been a regular speaker on the event circuit, particularly at SIBCON 2006 – 2008 – 2010, 2012, 2014 and on the Panel in 2016, as well other Bunker and shipping related conferences around the Globe and he is a regular speaker at IBIA events and conference. Shaj Thayil is the Managing Director of CMA CGM International Shipping Company based in Singapore and Fleet Director at CMA Ships. He has extensive experience in the maritime industry managing ships and teams across various specialized segments from self-unloaders, ro-ros and tankers to gas carriers and large container ships. During his long career, he has also been responsible for building ships, technical innovations focused on sustainability and procurement of bunkers. Presently the Chairman of the DNV GL South East Asia and Pacific Technical Committee and also a member of the Technical Committee of ABS, Singapore Maritime Institute Technical Advisory Panel and the Maritime Innovation and Technology Fund Approving Committee. He was also a member of the Board at BIMCO and chaired the Global Industry Alliance Task Force for the GloBallast Programme, a joint initiative of International Maritime Organization, United Nations Development Programme and Global Environment Facility. Thiang C. S., VP Business Development of Ocean Tankers Pte Ltd. He has more than 20 years experiences in bunkers and lubricants business. Saunak Rai is one of the Board of Directors of Norgas Carriers. He is presently heading the LNG Business Development and Commercial operations department. His main task is to create innovative LNG logistics solutions for customers of Small Scale LNG. He is a licensed Master Mariner and has extensive experience working on LNG vessels, Tankers, Bulk Carriers and Container vessels. After completing his sea career , he joined shore office of Maersk LNG in Copenhagen, where he was managing the commercial operations of Maersk’s LNG fleet. Saunak graduated with President’s Gold Medal in Nautical Science from Mumbai University, and has completed his Master’s in Business Administration from Copenhagen Business School, Denmark. During his MBA Mr. Rai, worked on Integrated Strategy Project on “LNG Bunkering”. He is also a certified Chartered Ship Broker and Fellow of the Institute of Chartered Ship Brokers, UK. Capt. Rahul Choudhuri is the VPS Managing Director for Asia, ME & Africa. He has been in the Fuel testing & Inspection business for 27 years. Rahul is a Member of the Singapore Technical Committee (TC) for Bunkering, & the present Chairman of the International Bunker Industry Association (IBIA) Asia Executive Committee. Douglas has BSc Hons degrees from Rotterdam University in Chemical Engineering and Business Management obtained in 1995 and 1996. He has a strong background in marine fuels and ship’s propulsion machinery and has managed Lloyd’s Register’s Fuel Oil Bunkering Advisory Services’ business from 2005 to 2013 before taking up the post as Regional Consultancy Manager Asia. Douglas deals daily with clients on the non-Class services and solutions which Lloyd’s Register offers the market place such as asset condition assessment, ship life extension consultancy and port related consultancy work to name but a few. Douglas also deals with consultancy projects on gas and methanol as marine fuels. Mr Goh Tiak Boon is the Head of LNG New Business and Vice President of Gas Marketing, Sales & Development in Pavilion Gas. He handles the sales and supply of regasified natural gas in the Singapore market including project development work that promotes the use of regasified natural gas. Before joining the company, he was Vice President – Commercial at Gas Supply Pte Ltd. 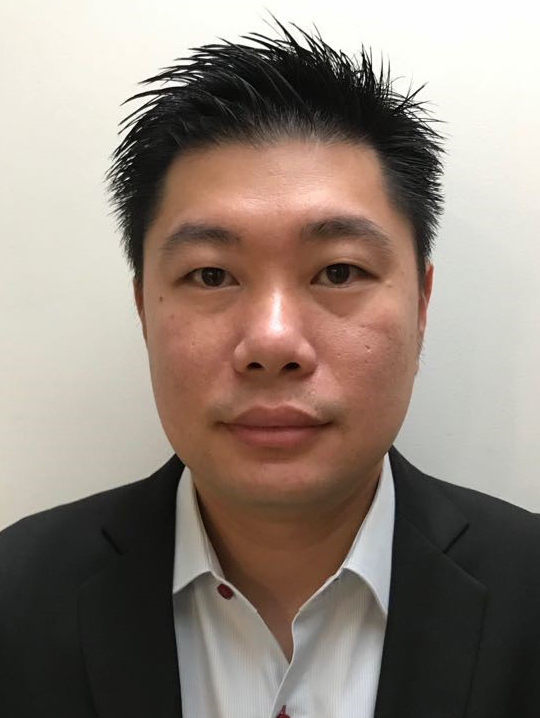 Prior to joining Gas Supply Pte Ltd, Mr Goh was the Asia Pacific Regional Manager for Commercial Vehicle Sales with ExxonMobil Asia Pacific Pte Ltd. Throughout his 16 years in ExxonMobil, Mr Goh held a variety of planning and managerial positions in the Fuels Marketing and Supply division. These included overseas assignments in the United States, New Zealand and Australia. Mr Goh is Chairman of the Technical Committee for LNG Bunkering, Singapore Standards Council. He holds a Bachelor of Mechanical Engineering (Hons) from the National University of Singapore and a Master of Business from Australia’s Macquarie University. Sandeep is the Head of Commercial and a member of the Senior Management team at Singapore LNG Corporation Pte Ltd (SLNG). In his current role, Sandeep supervises a team of commercial professionals in the areas of Commercial Operations and Business Development. Sandeep represents Singapore in the ASEAN Council on Petroleum and is the vice chairman of one of its sub committees on Gas Advocacy. He was previously chairing the ASEAN Gas Consultative Committee. He is also a current member of the Association of International Petroleum Negotiators and was in the executive committee of the Singapore Chapter previously. Dr Khorshed Alam is the Vice President and Regional Manager of Maritime Advisory of DNV GL in South East Asia, Pacific and India. Prior to this, Dr Khorshed served as the Director of Engineering, Energy management, Environment and Research development in APL (NOL group) from 2006 to 2012. Dr Khorshed was the chairman of SSA Bunker committee from 2006 to 2017. Dr Khorshed is a Chartered engineer and a fellow of IMarEST and RINA. He received his PhD in Marine Technology from University of Newcastle upon Tyne, U.K. He also received his second PhD in Environmental Science and Engineering from the National University of Singapore. Graduated in Naval Architecture and Offshore Engineering in 2006, Stephane Maillard joined Gaztransport & Technigaz as R&D Engineer. He then joined the Commercial Division early 2010 to be in charge of Business Development and relationship with the stakeholders of the LNG industry. Sanjay has worked on board Merchant Ships as engineer for various companies from 1981-1995. From 1995-1999 he served as Ship and Industrial Surveyor with Lloyds Register, and since 1999 he has been working with Wärtsilä Corporation in various positions in India, Finland and now in Singapore. He holds Class 1 Engineer Certificate from Ministry of Transport, Singapore.